Coveted for centuries in the East as the key to good health, happiness, and wisdom, tea is gaining the attention of researchers in the West who are discovering the many health benefits of different types of teas. Research studies have shown that tea can provide help with cancer, heart disease, and diabetes. It can also assist in weight loss, lower cholesterol and provide mental alertness. Tea has been found to also contain antimicrobial qualities. However, nutritionists agree that brewed premium, organic provides the maximum health benefits, with fewer calories, sweeteners and preservatives over bottled, instant or “name brand” tea. Most any beverage that is steeped is called tea. However, purists consider only green tea, black tea, white tea, oolong tea, and pu-erh tea to be actual tea. They are all derived from the Camellia sinensis plant, a shrub native to China and India, and contain unique antioxidants called flavonoids. The most potent of these flavonoids are known as ECGC which help fight free radicals that can contribute to cancer, heart disease, and clogged arteries. These teas also contain caffeine and theanine, which affect the brain by heightening mental alertness. The more processing applied to tea leaves, the more they lose their overall content of antioxidants. Oolong and black teas are oxidized, or fermented, so they have a lower concentration of antioxidants than green teas. However, their antioxidizing power is still very high. Several studies have shown that green tea leaves, which are steamed, are high in concentrations of EGCG. The antioxidants in green tea have been shown to interfere with the growth of cancer in the bladder, breasts, lungs, stomach, pancreas, and colon. They also prevent clogging of the arteries, burn fat, counteract oxidative stress on the brain, reduce the risk of neurological disorders like Alzheimer’s and Parkinson’s disease, reduce the risk of stroke and improve cholesterol levels. Made with fermented leaves, black tea has the highest caffeine content and forms the basis for flavored teas like chai, along with some instant teas. Studies have shown black tea to protect the lungs from damage caused by exposure to cigarette smoke. It also reduces the risk of stroke. White tea is uncured and unfermented, studies have shown that it has the most potent anticancer properties compared to more processed teas. Oolong tea has been shown to lower dangerous cholesterol levels. There are also some claims that Wuyi, a variety of oolong tea, shows weight loss properties. Pu-erh is made from fermented and aged leaves. Considered a black tea, its leaves are pressed into cakes. Studies have shown that pu-erh provides weight loss benefits and reduces LDL cholesterol. Made from herbs, fruits, seeds or roots, herbal teas have lower concentrations of antioxidants than green, white, black and oolong teas. However, their nutritional benefits are based on their own specific properties. This makes it difficult to list all of the health benefits available in herbal teas without listing each ingredient separately. For more information on the health benefits provided by our numerous blends of premium herbal tea, please refer to the Herbal Tea category on our site. I really enjoyed reading your informative post about the benefits of tea. Thanks for sharing. Thank you, I’m really glad you found my blog useful. Thank you for the post on tea! I am a green tea lover and am so glad it is good for us! Thank you for taking the time to read it and I am really glad you enjoyed it. I agree with you, I love all types of tea. I had the opportunity to write content for the website of a tea retailer and they were nice enough to send me a sampler of their wares I was in hog, or rather, tea heaven. 🙂 🙂 🙂 Lucky you!!!! I know right I lucked out on that one! In the morning we were discussing about different types of tea. Thank you! You have no idea how happy I am to hear you found my article helpful and valuable. Thank you for taking the time to visit my blog and join the discussion. What is your favorite type of tea? I like mine rich and full bodied so I tend to go with hearty black teas. My pleasure, thank you for taking the time to visit my blog and join the discussion. I look forward to hearing your input in the near future. I know right! It almost seems like tea is a magic potion that a scary old witch living deep in the forest gives you. Well maybe my imagination ran away with me a little there aye? But seriously I’m also in awe over just how many benefits there are to different teas. Red tea also helps. Check out my page to learn more! Thank you very much for your kind words and for taking the time to read my article, I really appreciate it. 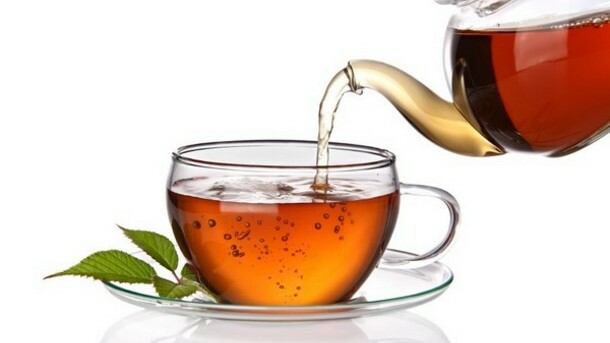 While writing this article I was really impressed by all the health benefits from drinking tea. I’ve always enjoyed tea but had no idea it had so many health benefits. Tea really is a great source of many health advantages. Please share some of your thoughts with us. I enjoy receiving input and thoughts from my friends. I am a lover of green tea. Being a nutrition specialist. I recommend green tea. Excellent! Like I said, I have always loved tea, hot or cold. Please share some of your knowledge about tea, I know my friends would love to hear your input. There are several tea lovers that follow my blog and I’m sure they would appreciate your input. I would post a blog on this topic. Please do I look forward to it.